All Hail The Snail with the Snail Cream! > beaute-mediterranea_snail-regenrative-serum1-2-2 > mitonia > Skincare > All Hail The Snail with the Snail Cream! Snail Cream, calling all cosmetic and beauty lovers…it’s time to hail the snail! 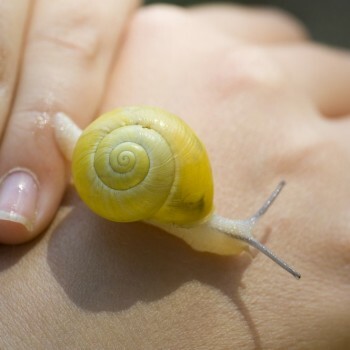 You may or may not have heard of using snail slime (or Helix aspersa muller glycoconjugates, as it sometimes referred to), on your face, but as strange as it sounds, it could be worth investigating! The snail slime, or snail cream as some like to refer to it as, has been thought to reduce inflammation and redness, stimulate skin regeneration, and lock in moisture into the skin. According to the BBC news (www.bbc.co.uk) this bizarre ingredient is becoming increasingly popular within the skincare market and having our own range of regenerative snail serums and creams, we couldn’t wait to shout about it! Snail extract is known for its stimulating properties, aiding the formation of collagen and elastin and can be used in moisturisers and spot treatment. Another of the active ingredients in our range is organic farmed rose hip oil, known to be one of the best calming skin face oils, with powerful antioxidant properties to regenerate the skin. 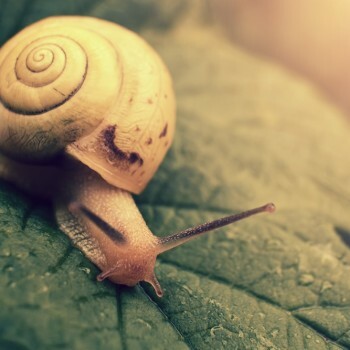 Snails like any animal can become agitated and when this happens they excrete a thick fluid in order to protect themselves, and it is this fluid which helps protect the human skin. Our skin produces what is called natural moisturising factor (NMF) which contains lipids, ceramides, and fatty acids amongst other elements to help moisturise the skin, however as we age our production of NMF reduces. When the snail protects itself it excretes slime made up of beneficial nutrients. These include; hyaluronic acid, antimicrobial and copper peptides, proteoglycans and glycoprotein enzymes (www.thedermreview). These important ingredients and nutrients found in snail secretion are known to be highly beneficial for the skin. 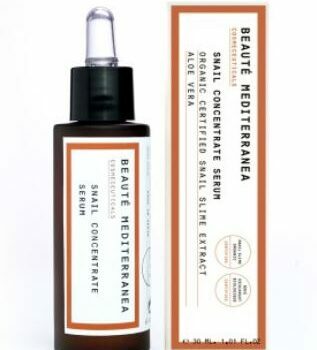 The snail secretion in our Beauté Mediterranea range is produced from organic snails, free to move around and enjoy life on a free range snail farm in Chile. This organic snail gel is produced at a much higher quality due to the organic farms allowing for less stress to be put on the snails. With wrinkle creams being a popular and sought after product within the cosmetics market, we would like to introduce our own organic snail cream, concentrate serum, eye contour cream and body cream all offering a unique optical blurring effect to fine wrinkles of the skin. The Beauté Meditteranea Snail Body Cream has a pleasant texture and fast absorption, formulated with a combination of organic extracts like aloe, marigold and snail secretion and with rose hip oil. The snail concentrate facial serum has an extraordinary smooth and silky texture, combining certified organic aloe vera and snail secretion extracts with allantoin and rosehip oil. We recommend using the cream and serum for at least two weeks in order to see the real benefits. *Please note that specialist dermatologists tend to recommend using a small amount of the snail cream on a specific area of your skin to check for allergies or skin reactions if you are using the product for the first time. Also for people with extremely sensitive skin, it is not recommended to use these products.